Like most parents I know, organising childcare can be an absolute nightmare at times. I generally don't have anyone who can pick the children up from school for me which can make things like organising spa days practically impossible. 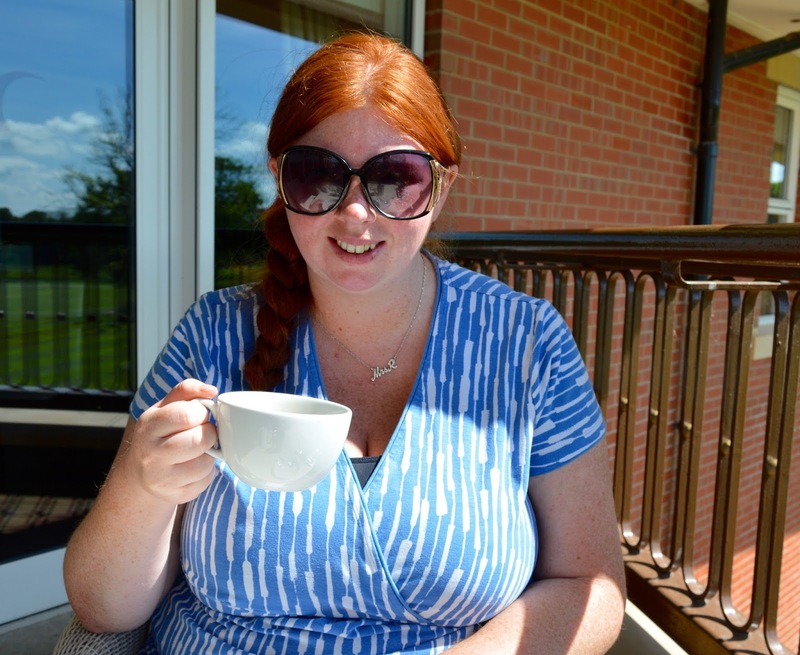 When Rockliffe Hall invited me along for a little bit of pampering, I was initially worried that I'd have to decline as most spa days I have enjoyed in the past run in half day sessions (morning or afternoon), twilight sessions or full days - this would have been a logistical nightmare for me. Then I spotted their Sneaky Midweek Spa Experience which has been designed to give busy parents like myself some much needed me time without disrupting their schedule. Perfect! 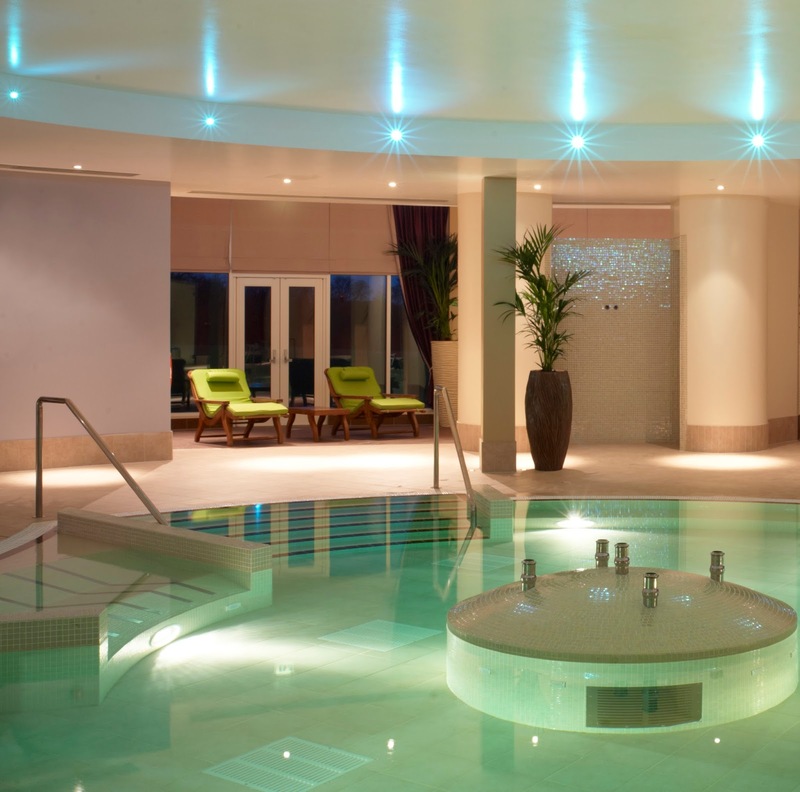 Why is Rockliffe Hall's Sneaky Midweeker Spa Experience perfect for busy parents? 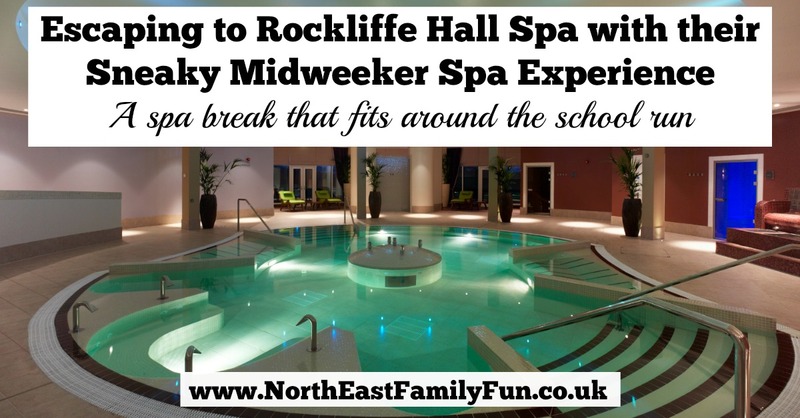 Rockliffe Hall is around an hour's drive from our home in Northumberland. We set off immediately after dropping the kids at school and arrived in perfect time for our 10am brunch. 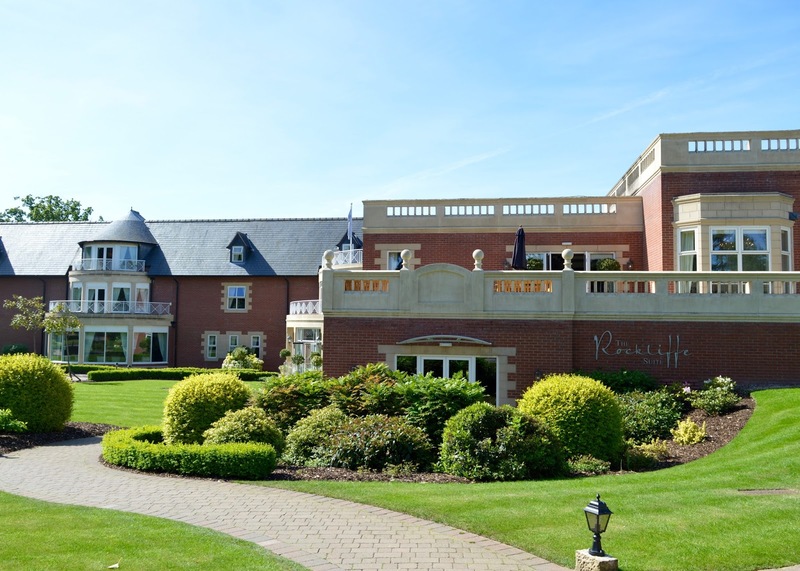 It was our first visit to 5* Rockliffe Hall and first impressions were very good. The hotel has it's own dedicated spa entrance and we were welcomed by professional and polite staff who escorted us upstairs to the spa brasserie for brunch. 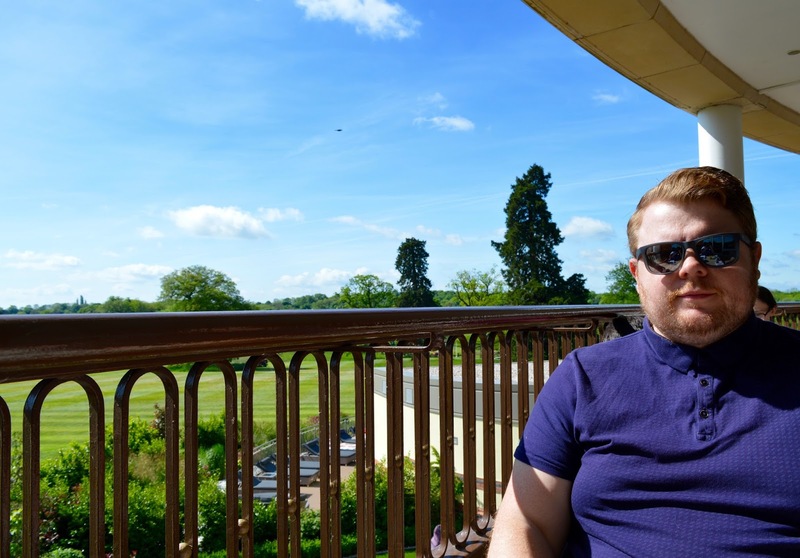 The sun was shining and we decided to sit on the balcony which offered glorious views of Rockliffe Hall's grounds. 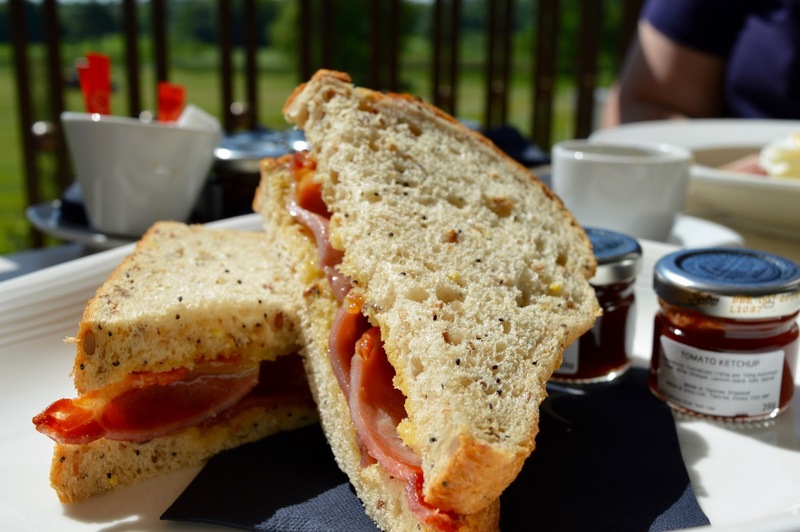 I expected breakfast to be a continental buffet-style where we could help ourselves which I have experienced in other spas but Rockliffe Hall's was so much more than this. We really did receive 5* service. 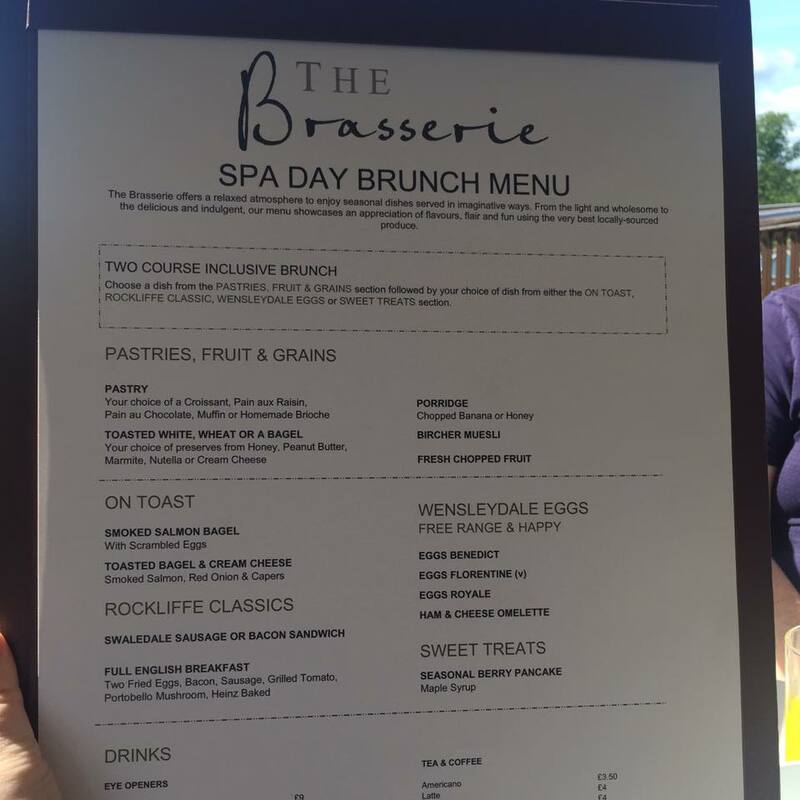 Our choice of hot drinks were ordered on arrival and we spent time completing our spa questionnaire and reading our brunch menu over endless coffee in the sun. All very civilised! As part of our spa package, we were able to order a 2 course brunch with tea, coffee and juice. 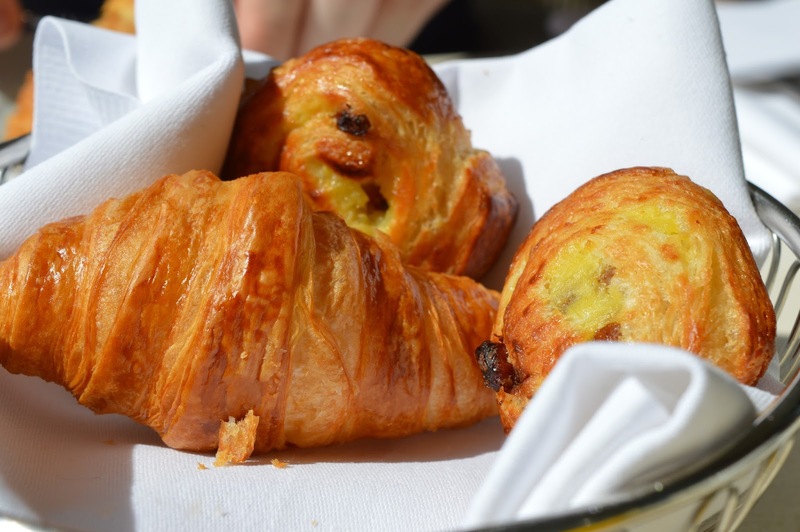 Our pastries arrived first and they were beautiful - still warm and obviously fresh from the oven. This was followed by Steve's favourite Egg's Benedict and a bacon sandwich for me. Again, both spot on and yes, there was a runny yolk. 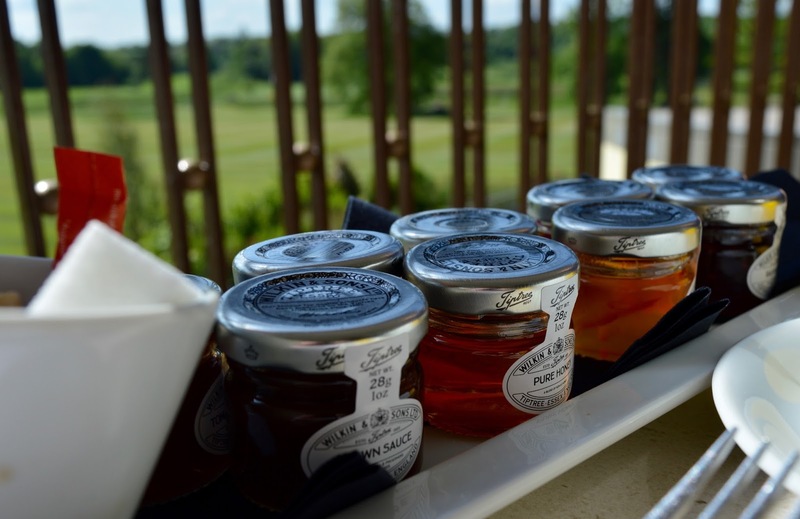 Rockliffe Hall uses local and high quality ingredients and it definitely shows. Brunch lasted around 45 minutes and it was the perfect leisurely start to our day. At around 11am we were escorted down to the spa where our pampering continued. I'll begin with the changing rooms - the women's changing rooms were spacious with lots of private cubicles, plenty of lockers (you just need a code so don't worry about needing change), hot showers, hairdryers, hair and beauty products, swim bags.....everything you can think of is provided. The lockers were the best I have seen with longer areas to hang your coat and dedicated shelves. As part of our package we were provided with snuggly robes (with pockets) and spa slippers. You can help yourself to towels. I showered and changed and headed to the main pool where I met Steve. There are two pools in the main spa area (and another infinity pool in the spa garden). The main pool is perfect for those who enjoy a swim which is what Steve opted to do first of all. Me, I like a more leisurely paced life so grabbed one of the spa's loungers and started browsing the fashion pages of Cosmo from the selection of complimentary magazines on offer. Bliss! We visited mid-week and there were plenty of loungers around for us to use. The spa didn't feel overly busy at all. It was a beautiful day on the day of our visit and I was keen to make the most of the sun - something I don't often get the chance to do during a normal work week. 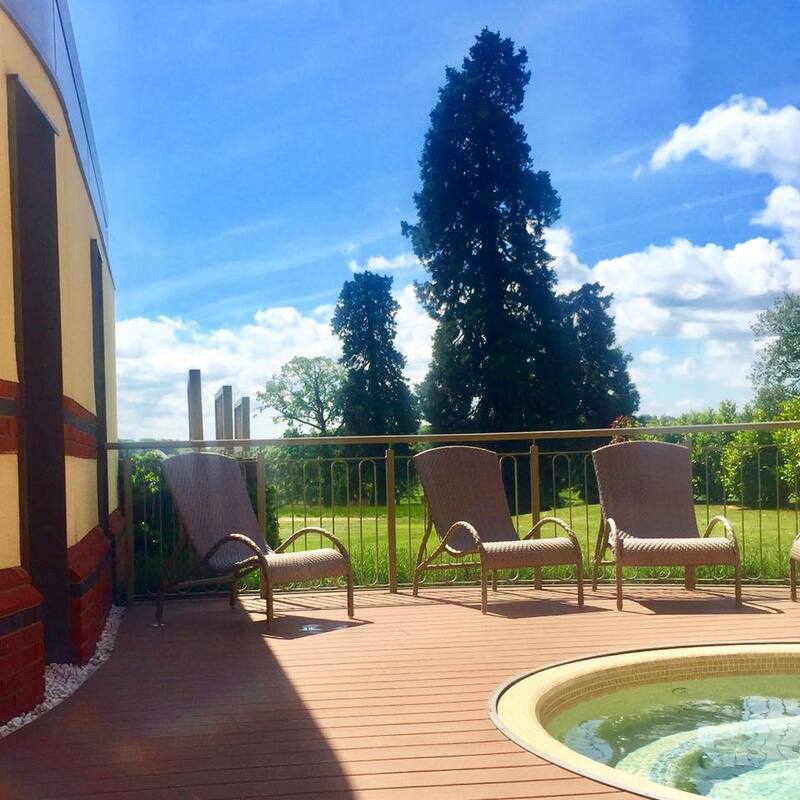 There is a lovely outdoor area included as part of the outdoor spa with loungers, garden beanbags, sofas and that all important outdoor hot tub. It's a gorgeous place to relax and unwind and the garden beanbags were super comfy that I almost drifted off! Steve poured us some complimentary iced tea and we relaxed in the garden area before jumping in the hot tub for 10 minutes. The school run and our day to day life honestly felt a million miles away and we really did feel as if we were enjoying a real treat. It started to get a little too hot outdoors and we hadn't packed any suncream - oops! So we decided to head back indoors and into the wet spa which is home to a hydro pool and various spa experiences. We both loved the Hydro Pool which is a warm indoor pool with various massage stations. The jets are super powerful and the next day I actually felt as if my back had enjoyed a professional massage. The Tepidarium was without a doubt my favourite experience room. You get the chance to lie on heated tile beds (they are way more comfortable than they sound) in a darkened & heated room with changing twinkling lights above you and soothing spa music. It was SO relaxing and if I ever win the lottery, I'll be installing a room just like this in my house. Steve and I then had fun using the Foot Spas which use a mix of hot and cold water before being brave and alternating 5 minutes in the Igloo with 10 minutes in the Sauna. If you really want to stimulate your senses, I 100% recommend giving this a try. I would normally shy away from doing something like this but Steve convinced me it would be good for my health. So into the igloo we stepped - it was FREEZING cold and we scrubbed our bodies with the ice from the fountain in the middle of the room before heading next door into the sauna for 10 minutes and repeating 3 times. Hot and cold therapy is supposed to provide increased energy and circulation, detox the body and clear negative energy. I'm not sure I experienced any of this but we did have lots of fun. After shocking my senses in the igloo I was ready for some calm and relaxed in the Caldarium which is a super hot steam room before retreating back into the Roman Sauna for a final 10 minutes (minus the ice this time). The spa is packed with facilities and everything you might need. There are plenty of hooks to hang robes, there's a bar where you can order drinks and snacks and lots of hot and cold showers and loungers dotted about if you just need to chill. A friendly spa attendant is always on hand too and if there's anything you need, just ask. Nothing is a problem for the staff here. We ended our experience with another iced tea in the outdoor spa area. 2pm came around all too quickly and I really had to drag myself away. 4 hours is the perfect amount of time if you are busy and it was enough time for us to feel relaxed, however I do think we would have benefitted a lot more if we didn't have to rush back for the school run. We really weren't ready to leave. 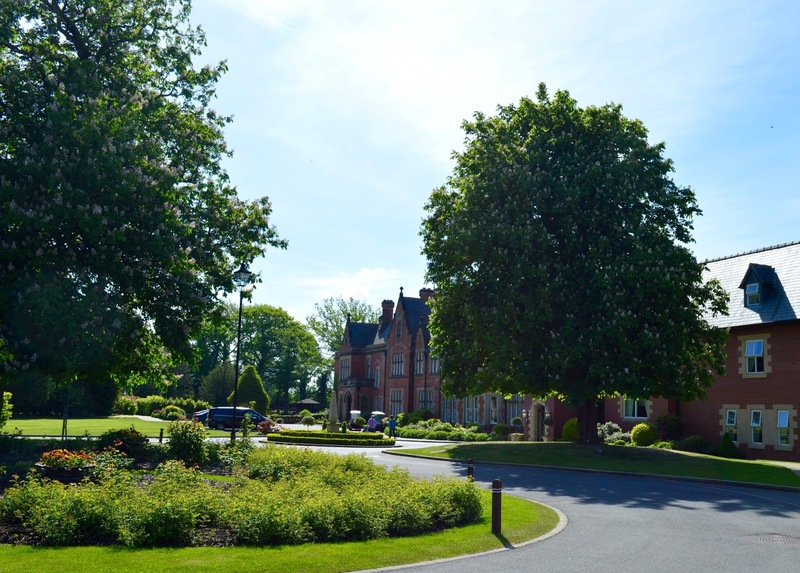 Steve and I have been looking at Rockliffe Hall's various overnight spa packages and have already decided we'll be booking one to celebrate Steve's birthday in July. I can't wait! With the Sneaky Midweeker Spa Experience, you do have the option to add on various treatments or a 2 hour Spa Garden Experience (pictured above). We did toy with the idea of doing this but in the end I'm pleased we didn't. To squeeze anything more into a 4 hour break would have made us feel a little rushed I think which defeats the object. I'd recommend saving the spa garden and treatments for when you have a little more time on your hands. To sum up, Rockliffe Hall is the best spa I have ever visited. 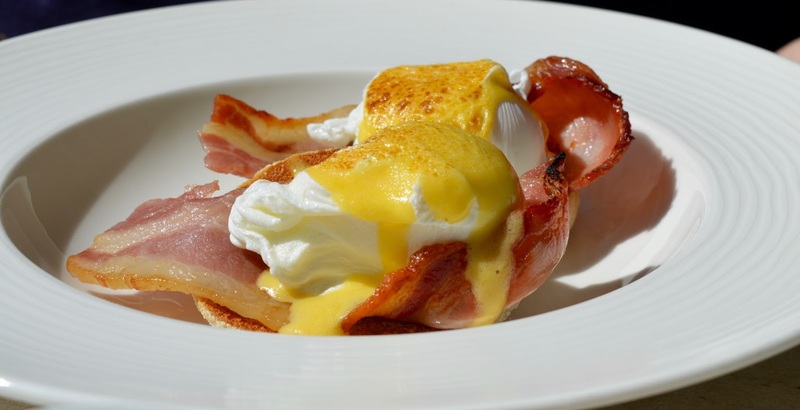 There are lots of facilities to help you unwind, you truly feel like you are enjoying a 5* luxury experience and brunch in the brasserie was perfect too. 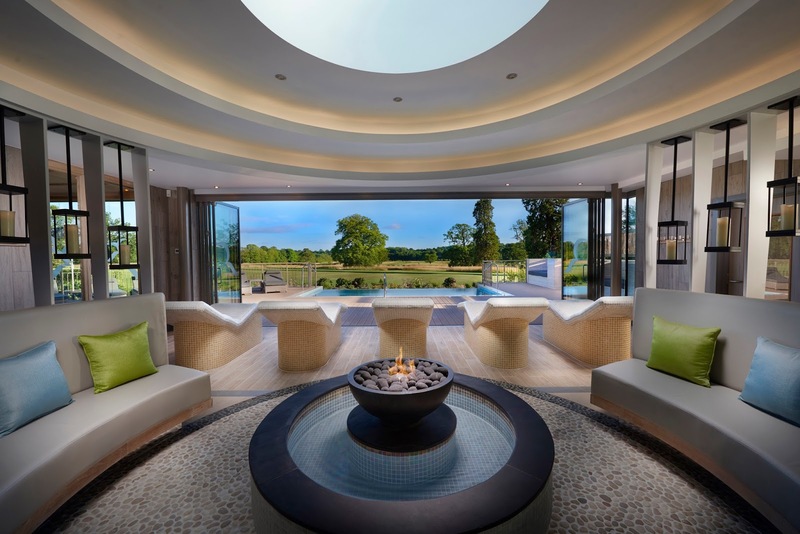 Steve still thinks Aqua Sana is his no1 spa of choice due to their numerous experience rooms but for me, Rockliffe Hall is definitely the best. Their Sneaky Midweeker Spa Experience is just what I needed to relax and I can't believe I managed to fit a spa day around the school run! Miracles do actually happen. The Sneaky Spa Midweeker Spa Experience is available Tuesday - Thursday until 29th June. It's the perfect way to relax with your school mum friends, partner or mum this summer. You can find out more here. Wow the Midweeker is such a great idea, perfect for tired parents, I can't believe the amazing brunch choice! Rockcliffe looks beautiful, a definite one to add to our list! The brunch was very impressive - so much better than expected. 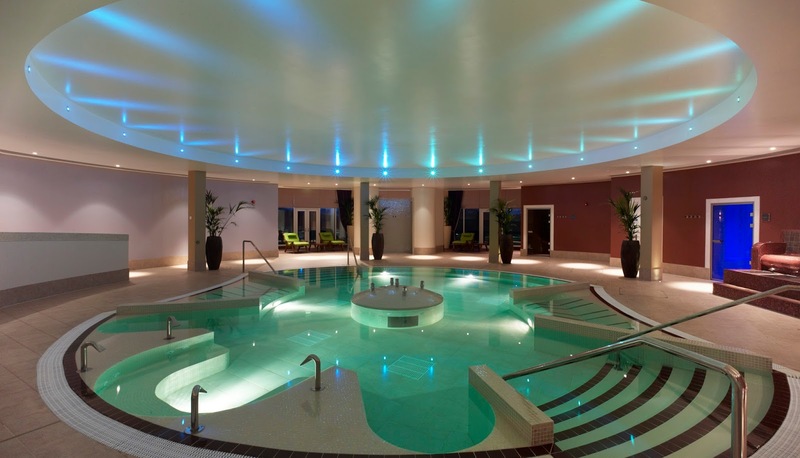 I can also recommend Rockcliffe for the Spa, have done many evening sessions there and the meals are always excellent, the spa facilities are great! It is SO good isn't it! I can't wait to return. I wish I lived closer. Oh wow! This looks IDEAL for me! Previously my favourite spa in the North East has been Seaham but this looks even better. The price is great for what they offer too. This has shot straight to the top of my spa hit list. I've been meaning to try Rockcliffe for food for ages, being from County Durham it's been on my radar for ages but you've given me the push I need to get something booked in finally. All round this looks like my perfect child free day. I'm looking forward to sharing my day here soon. It really is fantastic! Very nice! I live in Korea and I wish I could live there closer! !